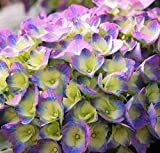 Hydrangea growing plant of the genus Hydrangea, is also known as Hortensia. 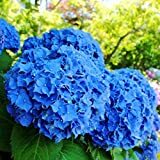 Hydrangea grows as shrub‎, tree, vine or climbers, it’s a perennial plant that can be evergreen or deciduous in temperate climate and used as ornamental plant, can grow in mediterranean, subtropics, temperate or tropics climate and growing in hardiness zone 3-10. Leaves color green in oval to elliptic shape. Flower color can be: white, blue, red, pink, green, purple or more than one color, grow in inflorescence can be flat head or cone. Annabelle hydrangea – shrub‎, deciduous plant, grow in temperate climate, flower color white.